If rock music came into maturity in the 1960s, it reached its apex during the 1970s. Sizzling guitar riffs, raw, emotional lyrics… and female musicians that changed the way rock music was played and shaped the rock genre into what it is today. The 1970s made legends out of bands like Aerosmith, Fleetwood Mac, Queen, and Lynyrd Skynyrd, and produced the greatest rock music of all time, while The Runaways, Ann and Nancy Wilson, Stevie Nicks and Pat Benatar paved the way for girls to not just sing but to play rock music. 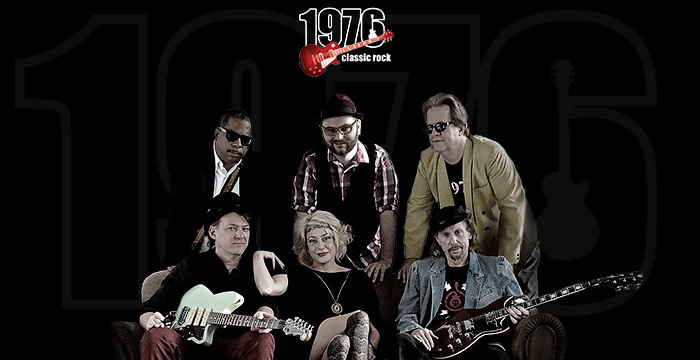 The band 1976 revisits all the great rockin’ music from that era and takes you along for the ride. These six outstanding musicians authentically recreate all your favorites by bands & musicians like Fleetwood Mac, Peter Frampton, Tom Petty & The Heartbreakers, Heart, Boston, Steve Miller Band, Bad Company, Rod Stewart, Journey, The Eagles, Santana, Elton John, Badfinger, Deep Purple, and so many other rock bands from the 70’s.Featuring male & female vocals, two outstanding guitarists and a blistering rhythm section, they’re a perfect fit for corpoate events, clubs, fests and concerts of all types. 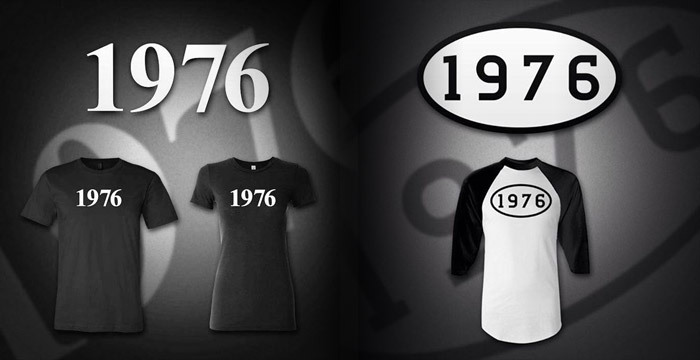 Let 1976take you back to the decade that changed rock music forever. 1976 Debut CD Featuring 10 Awesome Classic 70’s Songs Including: Dreams, Baby Blue, Maggie May, Fooled Around and Fell In Love, Stop Dragging My Heart Around, and more! and 1976 Shows…. all Summer Long!